The Abuja Chapter chairman of the Institute of Chartered Accountants of Nigeria (ICAN), Mr Oluwafunminiyi Akande, has admonished the Federal Inland Revenue Service (FIRS) to improve on its digital services. Mr Akande made this known while speaking at a one-day seminar titled ‘Ease of Doing Business: Role and Impact of FIRS’, which was held in Abuja recently. He said: “FIRS has been talking about e-filling and e-tax clearance certificate, but you discover that from January to February this year their internet network was completely slow. Meaning that we as practitioners cannot do any tax clearance, or digital transaction for our clients. And for some of these things, there are penalties attached. He said this had made it necessary for policy makers and practitioners to meet to know which areas were not okay yet. On how the FIRS can improve on its services, the Chairman FCT Tax Practitioners Association Mr Kennedy Iwunlo, said FIRS should invest more in its digitalization infrastructure. “FIRS should invest more in their bandwidth. That is the digitization infrastructure. A revenue agency that collects revenue should invest more in information technology,” he added. 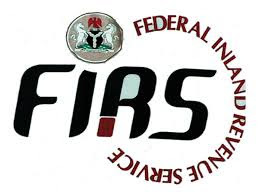 Represented by the Director, Tax Audit Department, Najim Ajila, the FIRS chairman, Mr Babatunde Fowler said FIRS has consistently improved its services to make sure that it delivered superior services to Nigerian businesses.